March 27 is a public holiday in Myanmar known as Armed Forces Day. It was originally established as Resistance Day to celebrate the anniversary of the beginning of the resistance against the Japanese occupation in 1945. Before the Second World War, Myanmar (then known as Burma) was a British colony. During the war, it was occupied by Japan. In 1941, Japan helped the Burmese independence activists known as the Thirty Comrades establish the Burma Independence Army (BIA). It originally fought on the side of the Imperial Japanese Army. 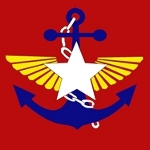 In 1942, the Burma Defense Army replaced the BIA. In 1943, Burma declared its independence, and the country's army was renamed to the Burma National Army (BNA). Eventually, the BNA grew disillusioned by the Japanese occupation regime and switched sides. On March 27, 1945, the BNA joined the allied forces and began to fight against Japan. The anniversary of this event is now celebrated as Armed Forces Day in Myanmar. The official name of Myanmar Armed Forces is the Tatmadaw. They are composed of the Myanmar Army, Myanmar Navy, and Myanmar Air Force. They also include auxiliary forces such as Myanmar Police Force. The Tatmadaw is administered by the country's Ministry of Defense.